We’re celebrating all afternoon and evening on Sunday, July 1, 2018. First, come see what we do at our Lake Forest Pet Adoption Center, from 2-5 pm. Ready to celebrate and help us raise funds for the next year? Then join us at the Lake Forest Beach and Tennis Club from 5-8 pm where we will have food, fun, a silent auction, and boat rides for a modest donation. 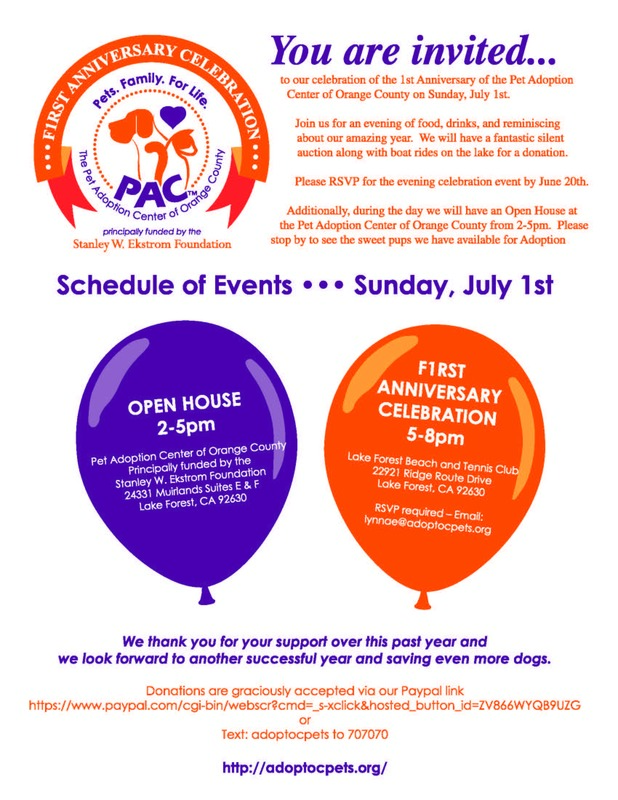 Please RSVP to lynnae@adoptocpets if you plan to participate in the celebration at the Beach and Tennis Club. We look forward to seeing you there!